Santa Anita Park in Arcadia, Calif. In the wake of an alarming number of fatal injuries sustained by horses racing and training at Santa Anita Park since the Dec. 26, 2018, opening day, racing has been cancelled indefinitely, according to a published report in Daily Racing Form. The announcement was conveyed to the newspaper by Tim Ritvo, chief operating officer of the Racing and Gaming division of The Stronach Group, owner of Santa Anita. Ritvo did not offer a date racing would resume, but said this weekend's live programs featuring Saturday's Grade 1 Santa Anita Handicap and Grade 2 San Felipe – the latter a major prep for the Grade 1 Santa Anita Derby and a points race for the Grade 1 Kentucky Derby – would not be held. Ritvo told Daily Racing Form that Dennis Moore, the former track superintendent at Santa Anita who earlier in the day had been retained to examine and monitor the surface, will do an extensive inspection of the track. Moore, the track superintendent at Los Alamitos and Del Mar, voluntarily stepped down as Santa Anita track superintendent at the end of 2018. Trainers have been told the main track and inner training track are also closed until further notice. Tuesday morning, Lets Light the Way, a 4-year-old filly trained by Hall of Famer Ron McAnally, became the 21st racing or training fatality of the meeting when she sustained fractured sesamoids while breezing and was euthanized. On Saturday, March 2, two days after the track had reopened following an evaluation by University of Kentucky racing surface consultant Mick Peterson, 4-year-old filly Eskenforadrink suffered a catastrophic injury in a $16,000 claiming race. She was euthanized after being examined by veterinarians. Eskenforadrink is one of seven horses euthanized after sustaining injuries while racing on the main dirt surface. There have been nine training fatalities on dirt, including one the California Horse Racing Board said was due to a “sudden death” – suggesting a heart attack. Five deaths resulted from injuries sustained on the turf course during races. The track had been closed for training Feb. 26-27 to permit Peterson to do his evaluation, after which he was the track was 100 percent ready for racing. Following Eskenforadrink's injury on Saturday, officials cancelled a scheduled racing program on Thursday, March 7, saying that it was in anticipation of a storm due to hit Southern California, which has gone through an extremely wet and cold winter. Bloodhorse.com reported that Ed Allred, owner of Los Alamitos, which serves as an auxiliary training center, would make up to 350 stalls available on a short-term basis so that horses can ship in and train. The fatalities have generated widespread national and local media coverage and animal rights protesters picketed Santa Anita on Sunday. 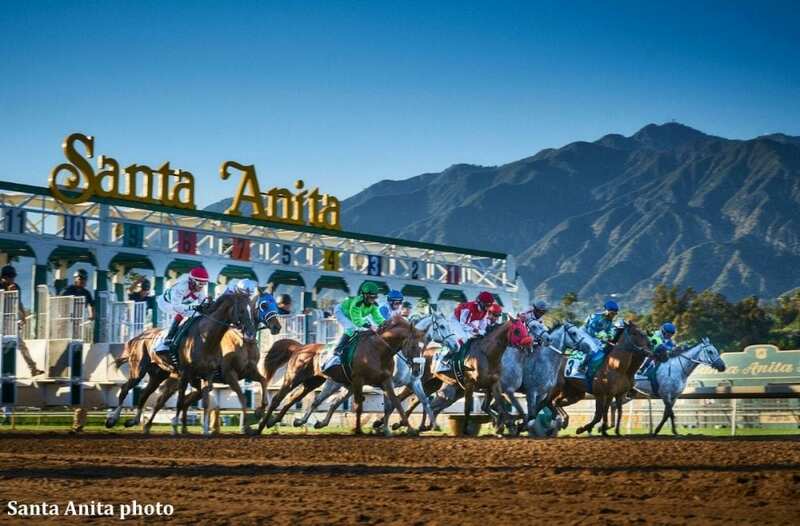 The Stronach Group announced the closure of Santa Anita Park for live racing and training effective immediately while the one-mile main track undergoes additional extensive testing. “The safety, health and welfare of the horses and jockeys is our top priority,” said Tim Ritvo, Chief Operating Officer, The Stronach Group. “While we are confident further testing will confirm the soundness of the track, the decision to close is the right thing to do at this time. ”The Stronach Group has been in constant communication with the California Horse Racing Board and numerous key industry stakeholders who are in full agreement with the decision to suspend racing and training. The additional testing of the track will be lead by veteran Trackman Dennis Moore, expanding on the ground radar testing conducted earlier this week by the University of Kentucky's Dr. Mick Peterson. Measures will include utilizing an Orono Biomechanical Surface Tester, a device that mimics the impacts of a horse running at full gallop allowing engineers to see how the track holds up. These test results will be evaluated to ensure track consistency and uniformity for both training and racing. This entry was posted in NL Article, The Biz and tagged horse racing fatalities, racing cancellations, santa anita, The Stronach Group, Tim Ritvo by Paulick Report Staff. Bookmark the permalink.